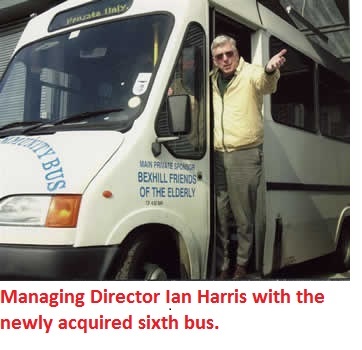 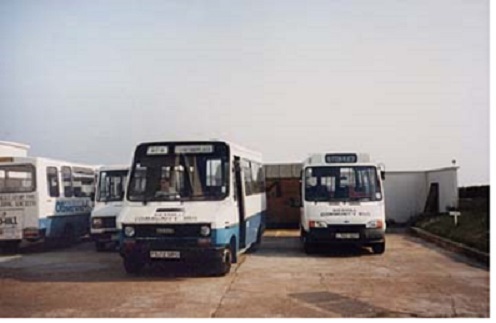 In 1986 we acquired our third bus. 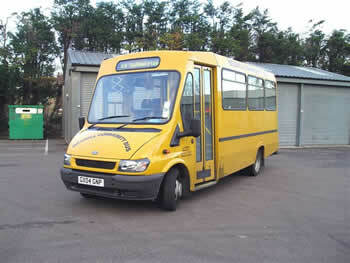 C24KDT was a 16 seater Dodge. 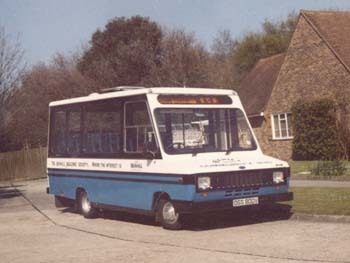 the first of which (OGS800V) would shortly be sold. 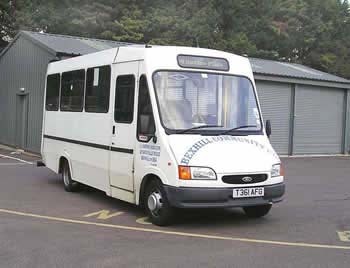 is its replacement, the newly acquired Ford Transit L760LDY. 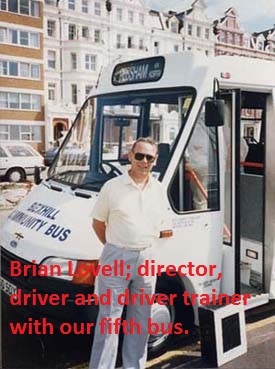 of Brian Lovell who has undertaken our driver training for many years. 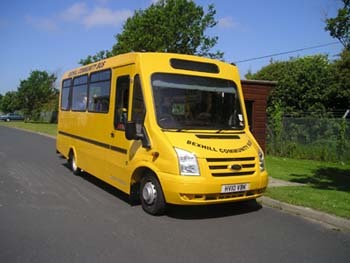 change of livery, this time to yellow. 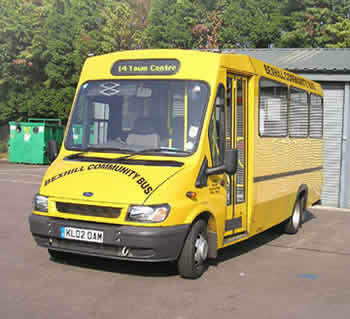 time on the morning of Saturday 12 May 2007. 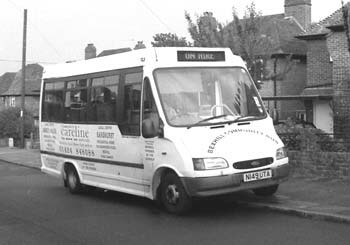 Our eleventh bus HV10 VBK seen here at Sutton Place on its fourth day in service, 17 June 2010. 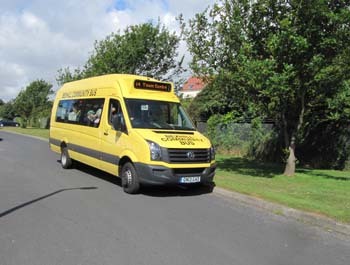 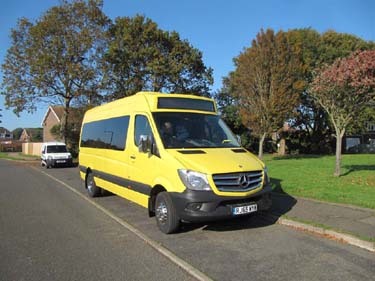 Our twelfth bus is a Volkswagen which went into service on 3rd July 2013. 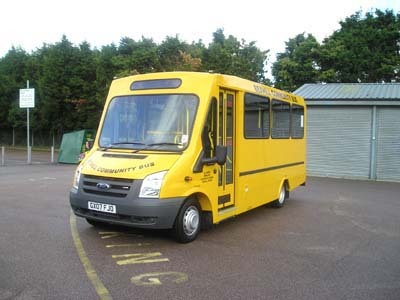 It is seen here at Sutton Place on 3rd August 2013 working the 10.24 service to the Town Centre.